The first Kansas City Comic Con, held Aug. 7-9 at Bartle Hall, attracted artists and writers responsible for many famous titles. 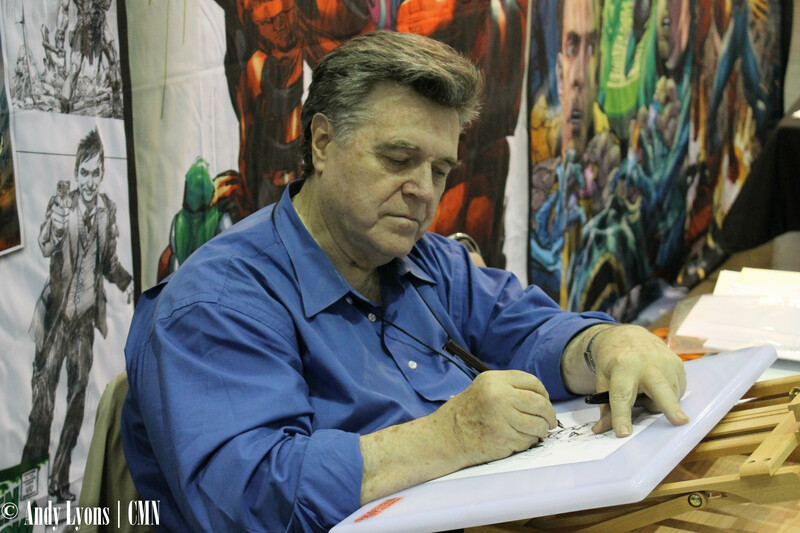 Andy Lyons and I had the opportunity to interview one such artist, Neal Adams. You may know Adams from comics such as “Batman Odyssey,” “Green Lantern/Green Arrow” and “Superman versus Muhammad Ali.” After admiring his work, we were able to get an interview where we discussed one of his most notable works, the “Green Lantern/Green Arrow” cover where Speedy, Green Arrow’s sidekick, is depicted as a drug user. The artist also shared his thoughts on the comic’s presence in film. When asked about his favorite series, Adams replied by stating that whatever he is currently working on is his favorite. He said that there was no point in working on it if it’s not your favorite. “That’s what it’s supposed to be if you are a professional,” he said. Another one of Adams’ famous series is his run on “Green Lantern/Green Arrow” with Dennis O’Neil. In the series, Adams and O’Neil tackle social issues and redefine what justice meant. 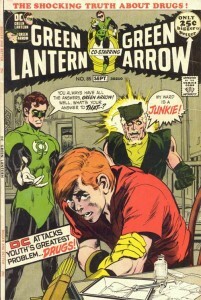 On one of the covers, Adams depicted Speedy using heroin. When we asked him why he did it, Adams replied that after O’Neil tackled the issue of overpopulation, he knew they would be done with the series, so they decided to take on the issue of drug addiction next. “Kids would rather be nothing than unhappy, and so they do drugs which makes them feel pretty much nothing and they don’t stop it unless you give them something to be happy about,” Adams said. 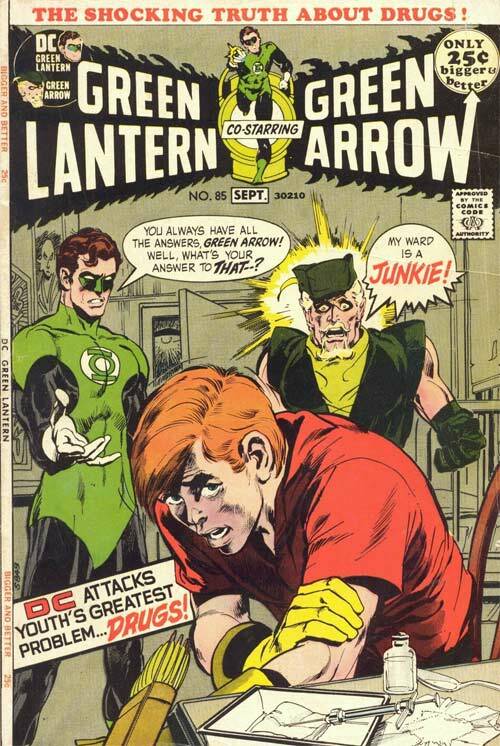 This controversial cover by Adams depicts Speedy, Green Arrow’s sidekick, using heroin. Overall, Neal Adams is a man who sees things as they are. The biggest piece of advice he gave about the world of comics is to not be a purist in the comic and cinematic universes. While talking to us he revealed his ideal Joker and Batman – Doctor Who’s Matt Smith as the ideal Joker and 1980’s Ted Danson as Bruce Wayne. Later, Adams told us about what his thoughts on the multitude of Marvel movies that have come out. Adams told us that the first comic run of Guardians of the Galaxy was so terrible that “all five people who read it, hated it.” With that bad of an initial run, it’s a wonder that the movie it was turned into has been highly regarded as the best Marvel film, and people now wonder if Marvel’s latest hero ensemble “Avengers: Age of Ultron” was as good. When I asked Adams what he would recommend to someone interested in reading comics Adams said that he has no specific suggestion because everyone has their own opinion. For example, although he doesn’t care for the Image series, Saga, he would never turn anyone away from it because it has a large following for a reason. With that philosophy, Adams shows us all how to truly appreciate comics, which is something that everyone, including myself, should work toward. For more on Adams, visit his website here.